Approximately 750 fans were able to use the Cleveland Cavaliers’ stadium app and some cardboard headsets to get a virtual-reality experience while at Quicken Loans Arena for Wednesday’s playoff game between the Cavs and the Atlanta Hawks, according to the team. 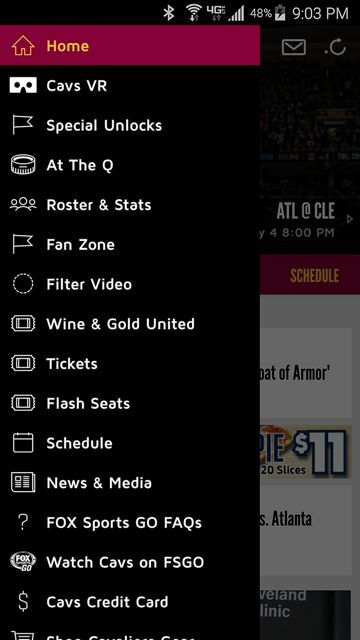 Since we weren’t at the Q we couldn’t see the videos but according to the Cavs there was some VR content available Wednesday night via the YinzCam-developed team app, which if you were lucky to get one of the 750 promotional headsets that were given away, you could insert your phone and have a true, turn-the-head feel to the VR content, according to the team. 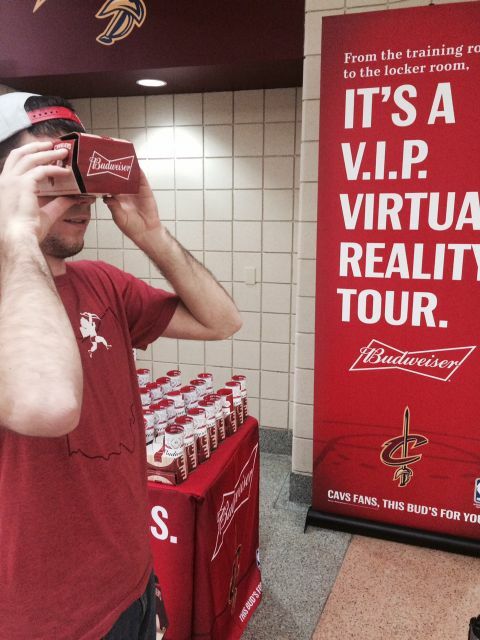 Other fans could simply view the VR content on their phones, even without the headsets, the Cavs said. 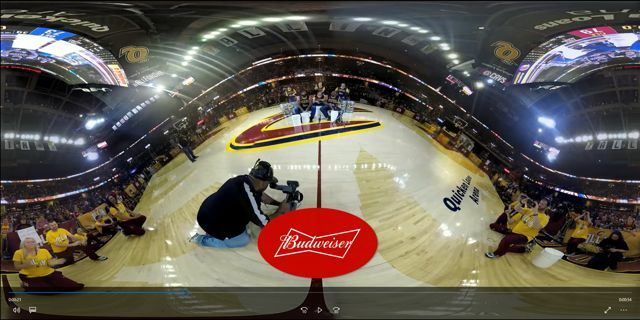 Though there was no live VR content available, the canned-video experiment is just another leading-edge innovation for the Cavs at Quicken Loans Arena, one of the most technology-forward sports arenas around. 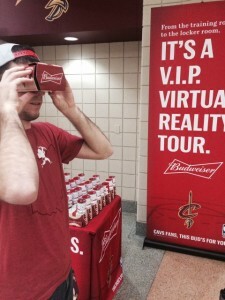 According to the team it plans to repeat the VR experiment at some future playoff games, with another 1,500 Budweiser-branded headsets to give away. Cleverly, the headset “easily transforms into a handy Budweiser beer holder,” according to a press release. No word yet on how well the headsets worked (as viewing devices or beer holders) or how many fans viewed the VR content, but it is at the very least a sign that VR may be closer to mainstream than you think, and that for savvy teams it can be an easy way to add a very visible sponsorship. Oh and by the way the Cavs also destroyed the Hawks 123-98, going up 2-0 in their series.